This summer the Xbox LIVE Arcade will be getting another four player third-person shooter called Scourge: Outbreak. Stop me if you've heard this one before: Set in the near future, and small team of specialized mercenaries must take on a secret organization whose mysterious fuel source, "Ambrosia," is threatening the safety of the world. Players will be able to level up their characters and use special perks and abilities. Really? I know several titles have similar story lines, but I finished another upcoming squad-based third-person shooter less than 24 hours ago and this premise seems very familiar. 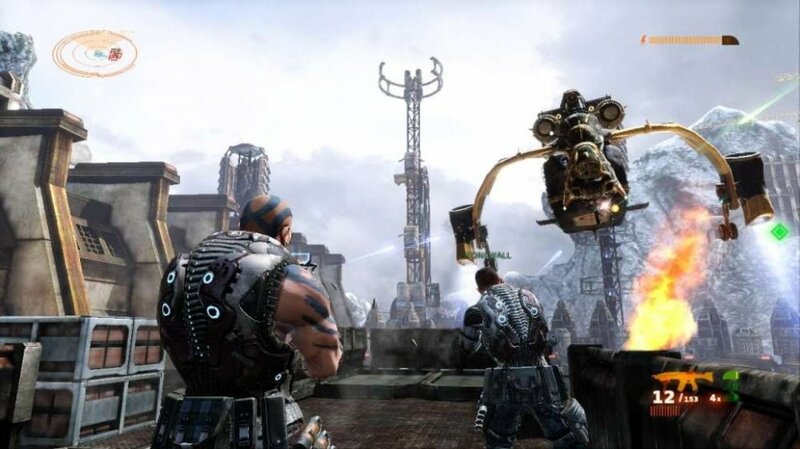 Published by UFO Interactive and developed by Tragnarion studios, Scourge: Outbreak is a "massively overhauled and vastly improved" retread of 2010's PC release, The Scourge Project. You can see our Co-Op Review here. They claim to have improved nearly every aspect of the game, from gun play, to AI, to the game world itself. Check out the trailer below to see it in action. It looks interesting, especially for a $10 title. Give me smooth controls, some nice firepower, and a big alien to shoot and I'm happy. Here's a rundown of the features from the press release. Up to 8 Players in Deathmatch, Team Deathmatch and Capture-The-Flag -multiplayer Versus modes in 5 action-packed maps! Leaderboards for competing with friends and other Players around the world! Scourge: Outbreak supports four player online co-op. It will be available on the Xbox Live Marketplace on July 3rd. It's priced at 800 MSP ($10). Page created in 0.3834 seconds.